Buying or selling a home is one of your largest and life-altering decisions which is why you don’t want just any Realtor on your team. My expertise lies in knowing contract details and fully knowing the southwest Florida area (click here for more about me). One of the major purposes of hiring a real estate agent is to have your interests protected. 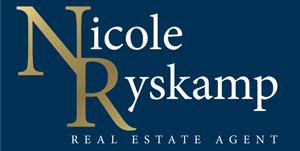 My knowledge as a real estate attorney helps me provide to you the best representation possible. I work with people at all different home price points and educate, advise and help my clients reach full potential with their real estate transaction. I AM COMMITTED TO YOUR SUCCESSFUL EXPERIENCE. I carefully limit the number of real estate clients I work with at any given time. This means I am able to put your needs first and create a home buying or selling experience meeting those needs. We’ll work together every step of the way.